Robert Belfour got his nickname from his singing style. Fans started calling him Wolfman because of the deep husky tones in his vocals. Born and raised in Mississippi, Robert grew up playing the Blues. His father Grant Belfour was a Blues musician before him and taught him to play. 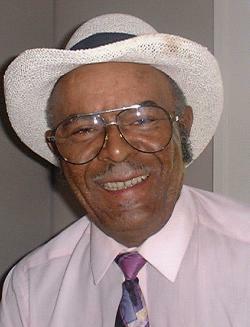 While growing up in Holly Springs he was able to learn from such Blues greats as Junior Kimbrough and RL Burnside. He credits Junior with teaching him to play the deep blues style he has since developed as his own. Belfour has worked at everything from dairy farming to concrete construction. He has since retired and devoted his energies to his music. He plays regularly at Murphy's in Memphis, Tennessee. In 1993 Robert toured in Europe and recorded a CD for Hot Fox in 1994 "The Spirit Lives On The Land" contains 8 of his tunes.